Charles Darwin first discovered Darwin’s Frog (Rhioderma darwinii) in Chile in 1835. 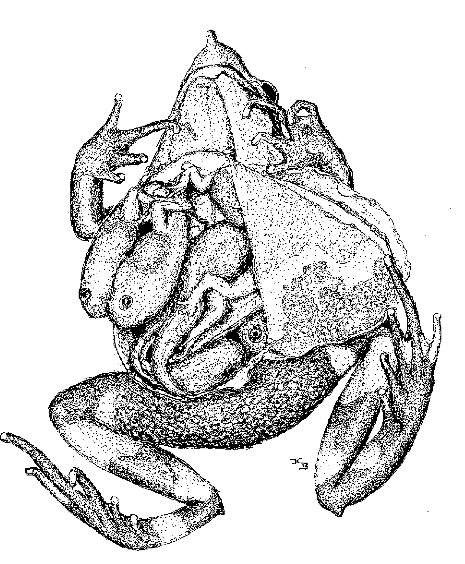 Several years later the naturalist Guichenot described how females appeared to carry their tadpoles inside their bodies. It was not until 1872 that their unique form of parental care was accurately described (Crump, 2002). Darwin’s frog exhibits a unique form of parental care. After mating the female lays several large eggs on the moist ground. The male will then remain near the eggs until they are nearly ready to hatch. Muscle contractions in the young larvae stimulate the father to swallow the eggs. 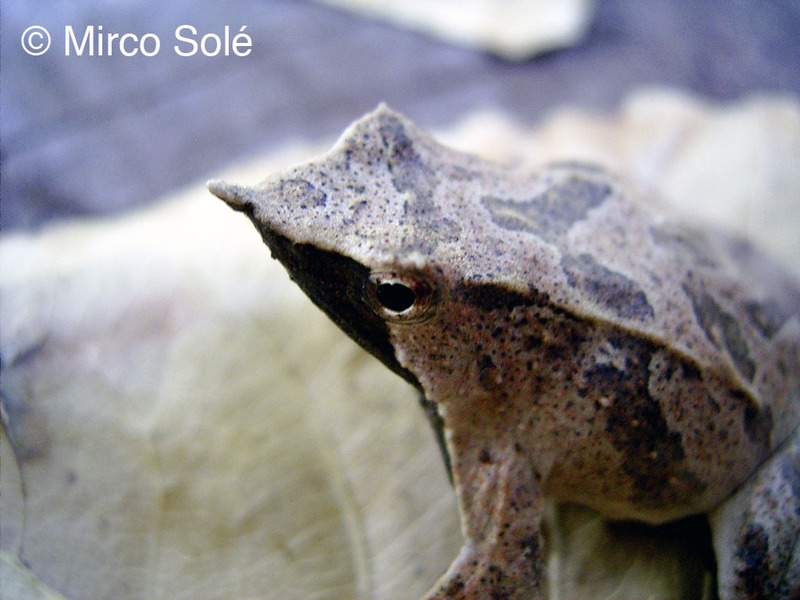 The eggs slide into his vocal sac where they will remain for about two months until they metamorphose and are expelled through the father’s mouth as complete little frogs (Busse, 2003; Crump, 2002). R. darwinii is endemic to Argentina and Chile. It is usually found in temperate forests at altitudes that range from sea level to 1500m (almost 5,000 ft) (Crump, 2002; Formas, 1976). Its color ranges from green to brown, sometimes with patterns of the two colors. Its appearance is somewhat unusual because of its fleshy nose (Crump, 2002). Figure 1. Natual range of Rhinoderma darwinii. For more information about the current status of R. darwinii check out the Global Amphibian Report, the IUCN, or Ambiaweb.